As Vesicular Stomititis has expanded its territory, most concern has been felt by horse owners, but other livestock can also be afflicted. Two South Dakota cowherds have been identified with VSV this summer. The cattle are located near Tilford (Meade County) and Deadwood (Lawrence County) area, and the cows have recovered. Those cases were found in mid-July and the end of August, respectively. 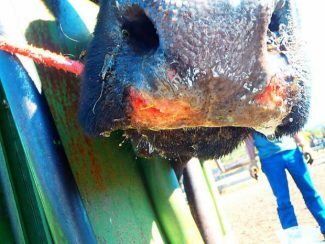 South Dakota State Veterinarian Dr. Dustin Oedekoven believes, however, that there are probably more cases that have either not been reported or simply have not been seen, especially in cattle. Since the disease is seldom fatal, some people don't worry too much about it. 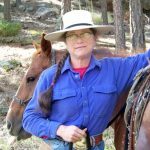 "With the cows out on pasture up in the Black Hills, there may have been cows with it that simply were not seen," says Oedekoven. Vesicular stomititis virus, VSV, is spread by contact and equipment, but most likely the primary culprit is flies and midges. In South Dakota there have been 38 confirmed cases in Meade, Pennington, Lawrence, Custer and Fall River counties. The first case in South Dakota was confirmed in mid-July and as of Sept. 16, there are still 12 premises under quarantine. Symptoms of VSV in cattle usually begin with slobbering. 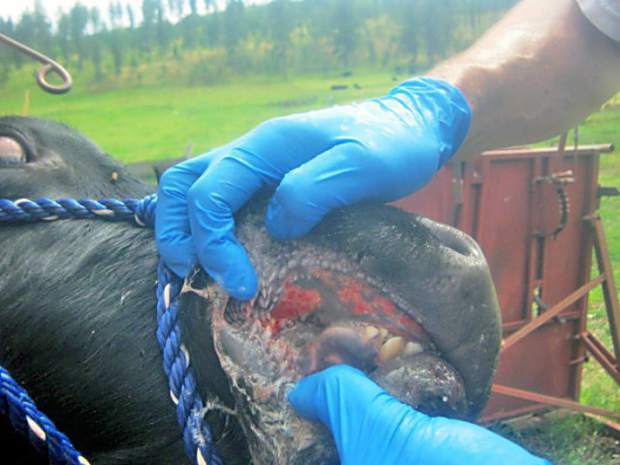 When examined the upper palate of the cow will have blisters and sores. In severe cases the skin on the tongue sloughs off, making it very painful for the animal to eat and drink, causing weight loss. Some cows get blisters on their udders and teats and will kick the calf off when it tries to nurse. Sores around the hairline of the hooves are also common but don't usually lead to lameness and, thus far, haven't caused any changes in the hoof growth. An overall listless appearance is also apparent in cattle. Dr. Oedekoven says, "Though VSV isn't particularly dangerous, it's imperative that people report any livestock with clinical signs. VSV closely resembles the very serious foot and mouth disease and testing needs to be done to be sure it isn't. The 2015 season is the first time that VSV has wintered over anywhere, so it's really spread out on the map. Usually a hard freeze will kill it off, but I don't know if it will this year or not." "There are far worse diseases to battle, but this is sure something to pay attention to," stresses Assistant State Veterinarian Dr. Mendel Miller, adding "We take it seriously because of the FMD similarities." Dr. Miller wants people to be cautious when handling cattle that are slobbering due to that being an early sign of rabies, and says "Always wear gloves to keep the saliva off your hands." Humans can become infected with VSV when handling infected animals. In affected people, vesicular stomatitis causes a flu-like illness with symptoms of fever, muscle aches, headache and weakness. Rarely, humans can get oral blisters similar to cold sores. Recovery usually occurs in four to seven days. The best policy if you suspect that you have a VSV case is to call your local veterinarian and report it. A call to the state veterinarian would also be in order. Quarantines of premises confirmed with VSV have been shortened from the 30 day initial quarantine period to two weeks. The state veterinarian's office can be reached at 605-773-3321.